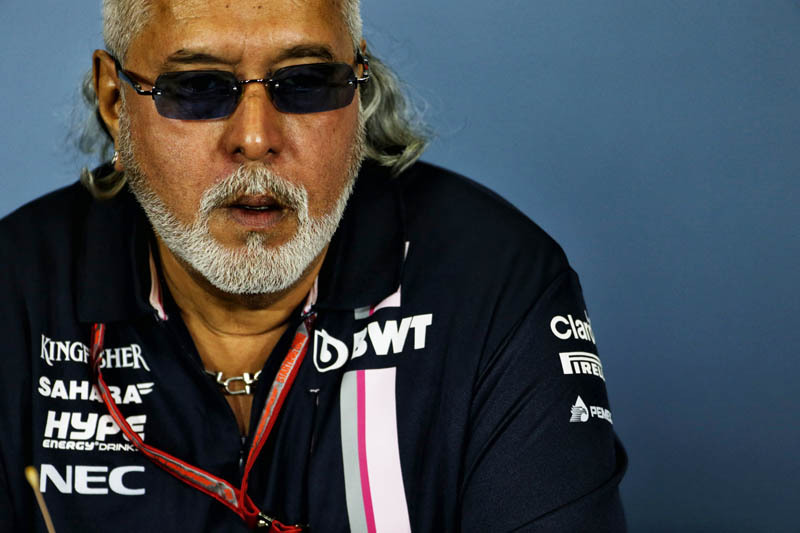 Dismissing continued speculation by energy drinks company Rich Energy, which according to its accounts simply doesn't have the cash, Force India co-owner Vijay Mallya admits that he is open to offers. 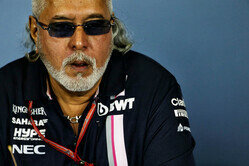 "People have been writing about the ownership of my team for years now," said Mallya, who was making a rare trip to the F1 paddock as authorities in India seek his extradition on fraud charges. "I'm proud that we finished our 200th Grand Prix in Austria," he continued. "It's a big milestone for me, since I owned this team. "I'm sure you will not see anybody in Force India, or indeed myself, walk around with a For Sale sign," he added. "And as far as all these rumours are concerned, and all the statements that keep appearing in the media, all I can say is if there is a credible offer with cash on the table, I will be the first one to discuss with my shareholders, see what they feel, and if, in the unlikely event we wish to sell the team, if there's an offer that we cannot refuse, I will be the first one to announce it. Until then, speculation remains speculation." In a subsequent interview with Reuters, though not hanging a "for sale" sign around his neck, he did appear to be setting out his stall. "Sahara's problems and my problems are not new problems," he said, referring to the team's co-owner. "They have been going on for more than three years, and within that period we have finished twice in fourth position in the Constructors' Championship. "This team is independent," he continued, "it's professionally managed and it performs. So whatever difficulties the shareholders may or may not have, it doesn't impact the team. "When Liberty took over and everybody thought things would change, there was serious interest, even from private equity," he revealed, admitting that the proposed plans for 2021 which will see the prize pot more evenly divided will make his team even more attractive to potential buyers. "If you go by what Liberty is saying, from 2021 the income distribution may be vastly different. And therefore the team may be entitled to a lot more of the share of the prize fund, which goes to the bottom line and makes the team that much more valuable." Check out our Sunday gallery from Silverstone, here. "There is one valuable team in F1. One. Ferrari. All the others pump in money. "